Are you a guitarist that forget his guitar picks? 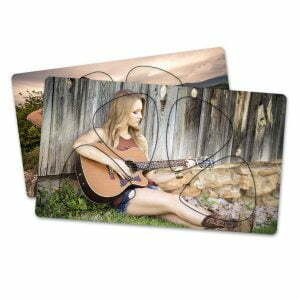 You always have your custom guitar picks with you with our card picks - double sided. The card has the same size as all your other cards in your wallet. So it fits right in to your wallet!! In this card there are 4 picks which you can take out and put back in after you’re done playing the guitar. It’s really easy and you never loose your custom guitar picks again. 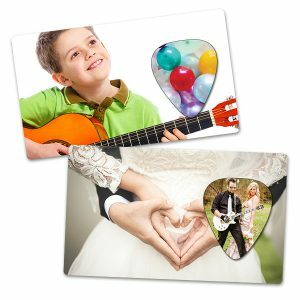 In the middle of the page you will find a designer tool to customize your card picks. Just upload your images or texts and position it!. If you are done, click Add to cart and order the custom card picks. We will do the rest! You will receive a tracking code if the order is send. If you have any questions for ordering custom card picks or about our designer tool, please contact us for more information.